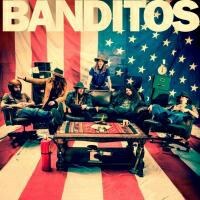 Banditos’ debut album throws together a backyard shed’s worth of rock and country influences and comes out sounding like a Deep South bar band that got tired of playing covers and started writing their own songs. Banditos' debut album throws together a backyard shed's worth of rock and country influences and comes out sounding like a Deep South bar band that got tired of playing covers and started writing their own songs. They're another in the succession of 21st century roots bands that's decided, consciously or not, to obliterate the lines between the genres. Consequently, the album's opening track, "The Breeze", grooves like ‘70s ZZ Top but adds banjo, organ, and female harmonies to round out the sound and drenches it all in layers of guitar fuzz. "The Breeze" establishes Banditos' basic sound, but the following two songs firm it up. "Waitin'" is a honky-tonk barnburner led by Stephen Pierce's banjo and Mary Beth Richardson's brassy vocals. "Golden Grease" comes on menacingly, with a bass, drum, and banjo-driven groove reminiscent of Golden Earring's "Radar Love". The song gradually builds into a roar, but Banditos' repeatedly downshift back into the quieter groove until finally letting it all out in the last minute of the five-minute song. Fourth track "No Good" changes things up significantly. It's a country-soul ballad that puts the spotlight entirely on Richardson's vocals to great effect. The band throws a couple more curveballs over the course of the record. "Blue Mosey #2" is a full-on country duet, while "Cry Baby Cry" sounds like a lost ‘50s rock and roll single with Jerry Lee Lewis and Chuck Berry trading piano and guitar licks. The most unexpected bit comes smack in the middle of the album, where "Long Gone, Anyway", after a short guitar introduction, features a kazoo solo from Richardson. It's very silly but the band commits to the bit, bringing the kazoo back every time there's a break in the vocals, which ends up making "Long Gone, Anyway" possibly the most fun song on the album. Richardson's soulful voice contrasts very nicely with guitarist Corey Parson's grittier singing, which makes the vocals a highlight of the album. Besides their obvious role in making "Blue Mosey #2" a success, the traded verses and harmony choruses in the dark, swampy "Ain't it Hard" adds body to a song already dripping with atmosphere. When Parsons goes it alone on the singing, the results tend to be fun but not quite as impactful. The raucous "Still Sober (After All These Beers)" is a perfect example. It's a high-energy country rocker, but with Richardson limited to backup vocals in the chorus, there's a feeling that it isn't quite as good as it could be. Still, Banditos covers a lot of ground over its 12 songs, and the album is never boring. The rhythm section of Randy Wade and Danny Vines is rock solid, and having Pierce on board as a full-time banjo player really helps give the band their own sound. Most bands of this type have a guitarist who will pull out the banjo on the occasional bluegrass-oriented tune or in other specific situations. It's much less common to hear a banjo all the time in what's essentially a rock setting. This is a strong album with a lot of swagger, backed up by good playing and powerful singing.